Ianthia Smith, PA-C, presenting the Rock Star Award to Tandua Washington, MD, at the March 2019 TSPMG Quality Department meeting. Physician and employee recognition come in many forms throughout Kaiser Permanente. At The Southeast Permanente Medical Group (TSPMG), praise for a job well done takes the shape of an inflatable plastic guitar. Recruitment Specialist Angela Brown won the HR Department’s first Rock Star Award for leading the efforts to get new lab coats for all TSPMG providers with accurate names, clinical credentials, and measurements. The idea was conceived by TSPMG’s physician lead for innovation, Kara Martin, MD, and senior business consultant for innovation, Michelle Adzhemyan, in conjunction with input from TSPMG’s recognition committee. The committee’s vision was to develop a visible, easy-to-understand, achievable plan to recognize, excite, and retain TSPMG physicians and employees. Dr. Martin and Adzhemyan decided to use human-centered design (HCD) – a creative approach to problem-solving that puts people at the center – to identify how TSPMG could improve in this area. With HCD, participants are involved from the very beginning through the end of the research, helping to design solutions that meet their needs. The approach involved a combination of ethnographic interviewing and observational study across front-line leaders, physicians, administrative assistants, and physician assistants, with a goal of learning more about their feelings on employee recognition and identifying opportunities to improve. “When we are addressing problems that have to do with how people feel about recognition and work, it’s important to ask, hear, and listen, and to then develop themes,” says Dr. Martin. 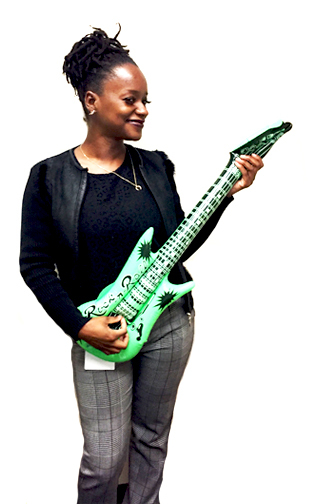 Based on their findings, Dr. Martin and Adzhemyan set out to create an easy means for TSPMG physicians and employees to recognize their colleagues by presenting them with a symbol of their gratitude; an inflatable plastic guitar that became known as the Rock Star Award. Within a month of the program’s implementation in August 2018, the number of physicians and employees who “strongly agreed” that they had received praise grew from 29 to 50 percent. 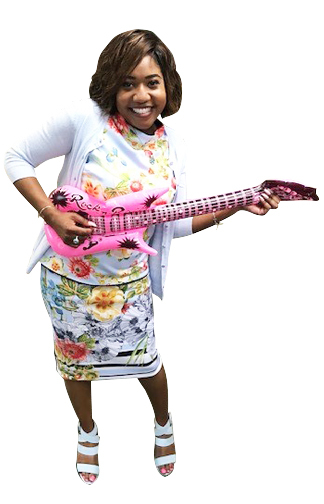 Tera Davis, Senior Executive Assistant to the President and EMD, won the first Innovation Team Rock Star Award for her contributions to social media development and involvement in Pop-Up Wellness Lounges. Word of the Rock Star Award traveled so quickly throughout TSPMG that the wellness committee asked Dr. Martin and Adzhemyan to help make it part of a physician and employee recognition toolkit. Toolkits with 120 plastic inflatable guitars and instructions for implementing the Rock Star Award were distributed to TSPMG team leaders in early 2019. The award is now actively used in at least a dozen departments within the medical group, according to Dr. Martin and Adzhemyan. The award’s success recently traveled beyond TSPMG to other regions. 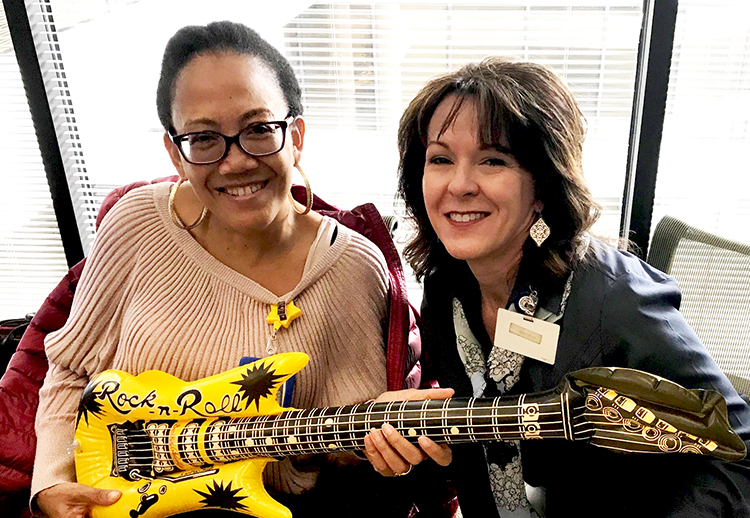 At Kaiser Permanente’s Redwood City Medical Center, patient advisor and KP member Maryann Hansen presented a Rock Star Award to recognize one of her colleagues, Tomeka McGee, who is frontline pharmacy staff in Redwood City and a valued participant on the One RWC Culture Council. The Redwood City pharmacy group is now discussing potential avenues for making the Rock Star Award a regular part of their culture of recognition. As the Rock Star Award continues its tour, a framework for more teams and regions to integrate HCD and new recognition tools has emerged. The atmosphere of gratitude that the award has fostered paves the way for more culture-building programs geared toward improving physician and employee engagement within the Permanente Medical Groups, according to Dr. Martin. How Kaiser Permanente learned to reach beyond its walls to engage healthy members in colorectal cancer screening. Kaiser Permanente National Implant Registries provide data on implantable medical devices to help improve patient safety, decision-making, and outcomes.